Sharefest was created with the belief that churches and organizations can do more together than any one group could do separately to reach out to its community. This year we will serve USD 501, The Topeka Rescue Mission, and Boys and Girls Club of Topeka by landscaping, painting, constructing, and cleaning up the grounds of area schools and buildings. This year is a new opportunity to choose your own site to work at on Sharefest day. It is a first come first serve basis. Sign up today to get the site you would like. Each person registers individually. Be sure to tell others where you are working if you want to work together. 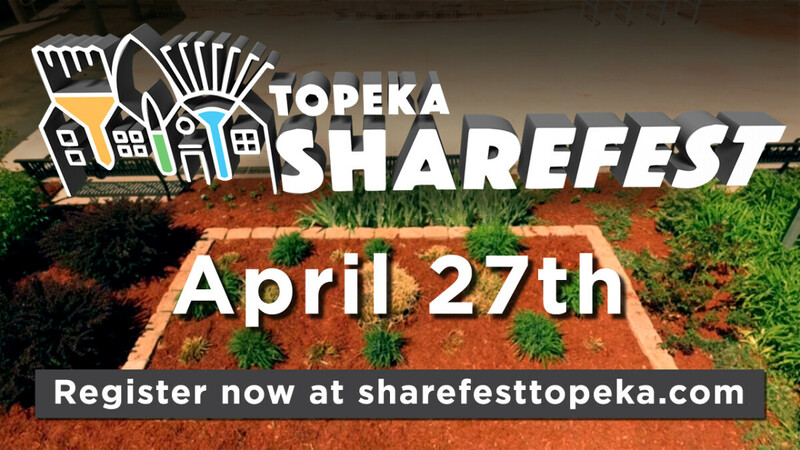 Sharefest is April 27th from 8am to 12pm. Registration closes on April 7th. Please join us after Sharefest from 12:00 pm to 2:00 pm at Hummer Sports Park- 6th and Oakley. There will be free food, games, and multi-church worship led by Brail Watson. Please register online when you register for Sharefest day.